Quick, intuitive and advanced. 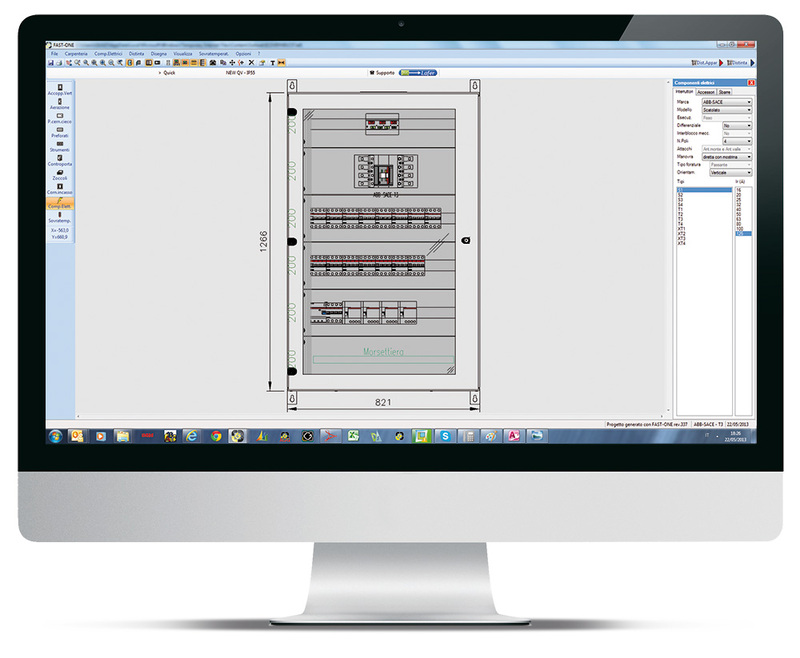 Imagine the cabinet, with FAST-ONE you can design it. 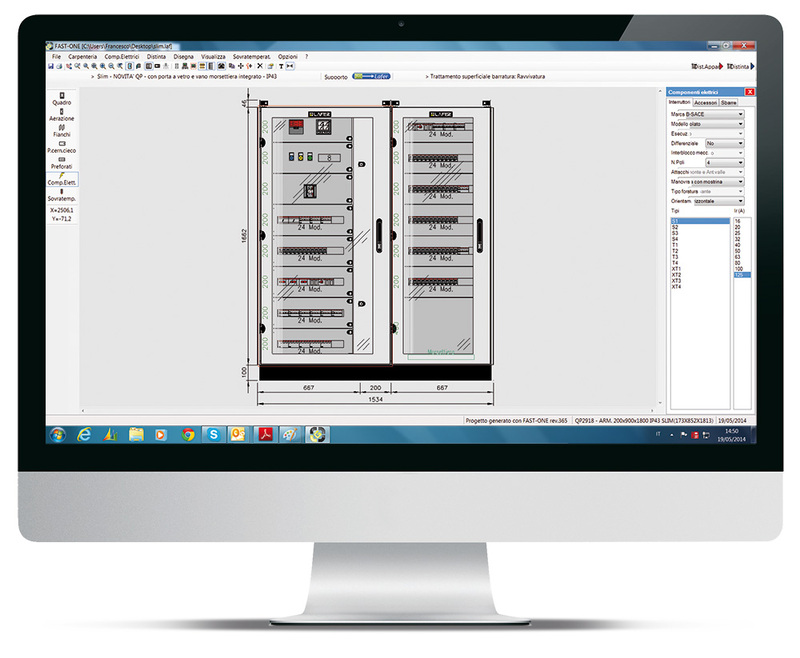 The very first free, universal and multi-brand configurator enabling users to design the switchboard layout. 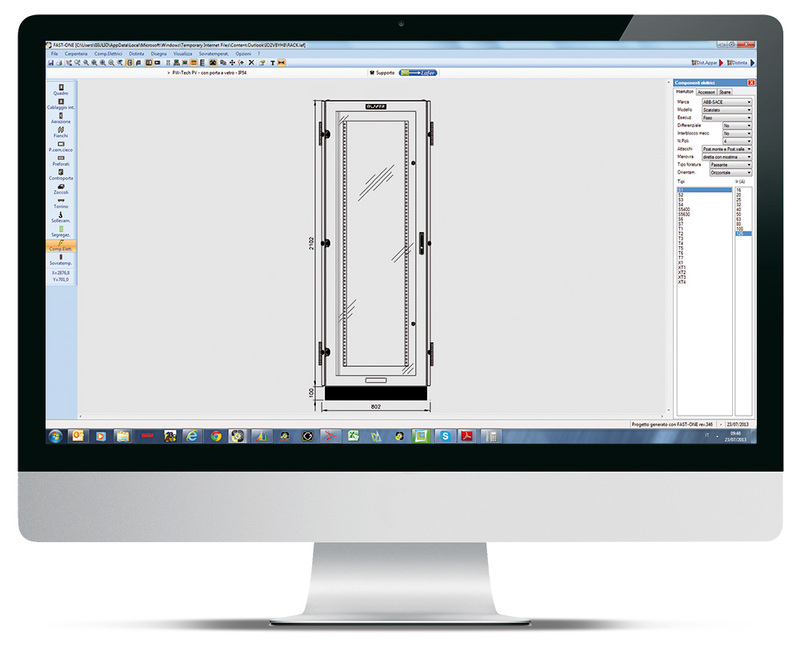 FAST-ONE™ is a Windows enclosures design software able to elaborate projects bills of materials and respective costs. 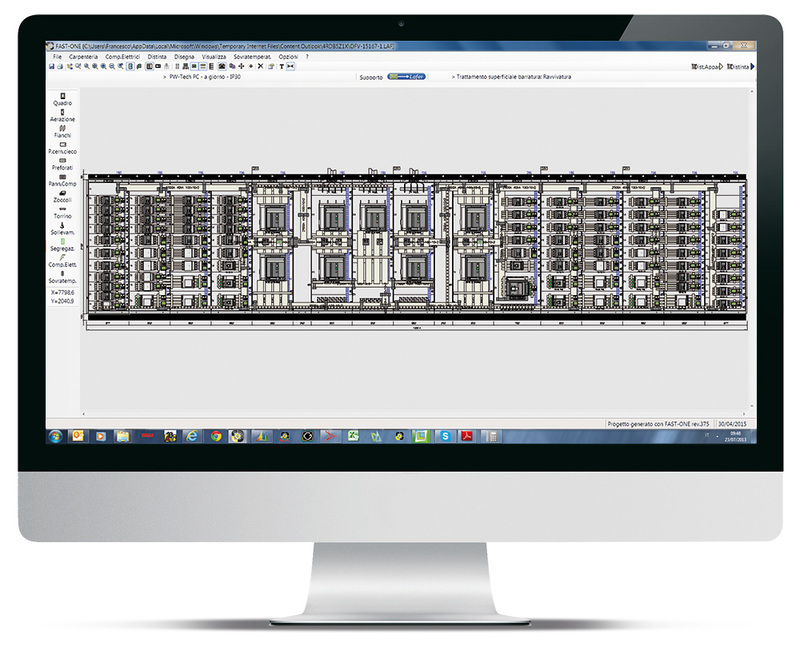 FAST-ONE™ solution smartly changes your way of working. 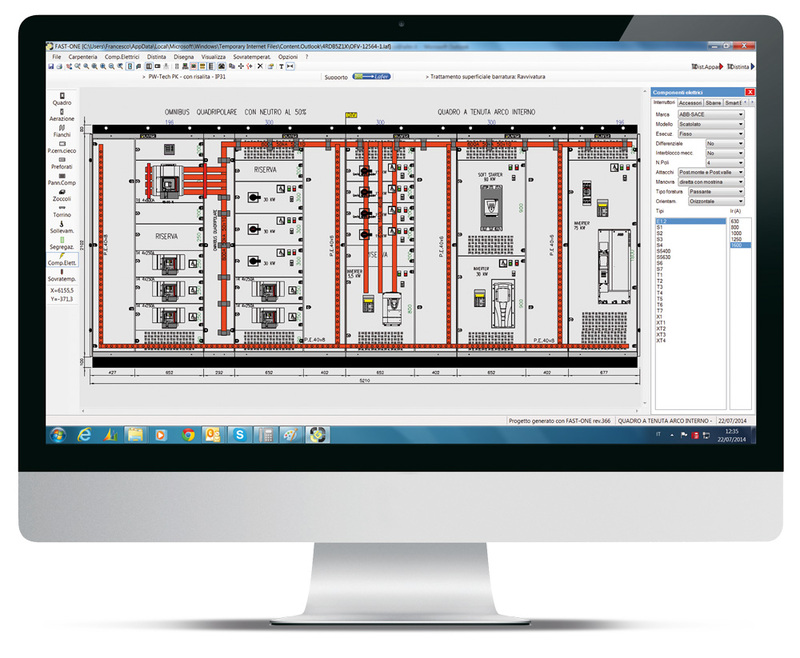 The configurator is an easy, quick and effective tool that accelerates the production phases and optimizes checks, eliminating errors automatically . 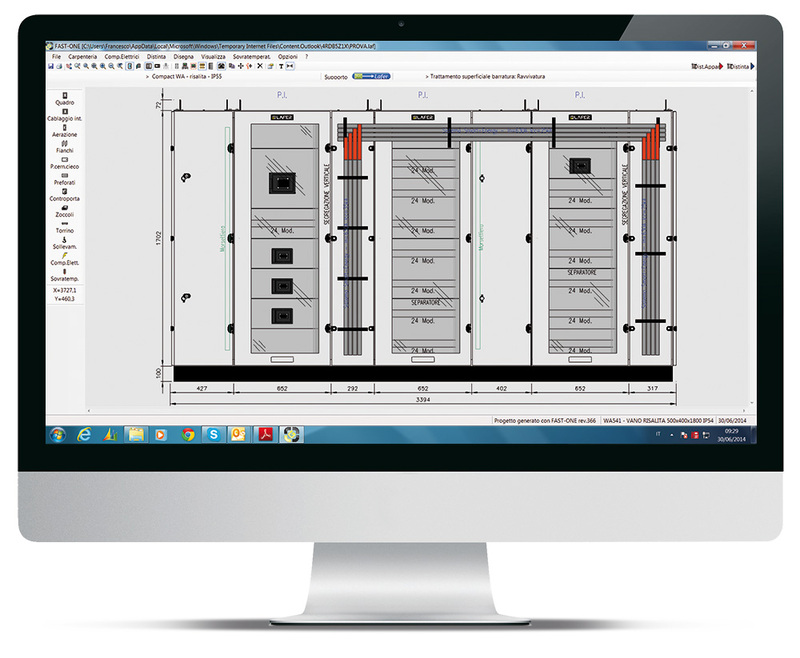 FAST-ONE™ decreases costs and times, it makes the design phase more fluid and simplifies the manufacturing, assembly and installation stages of your projects. Today you can order goods in stock ready for immediate delivery. Universal and modular, it is the maximum freedom without useless restrictions. FAST-ONE™. Studied and developed with you and for you. 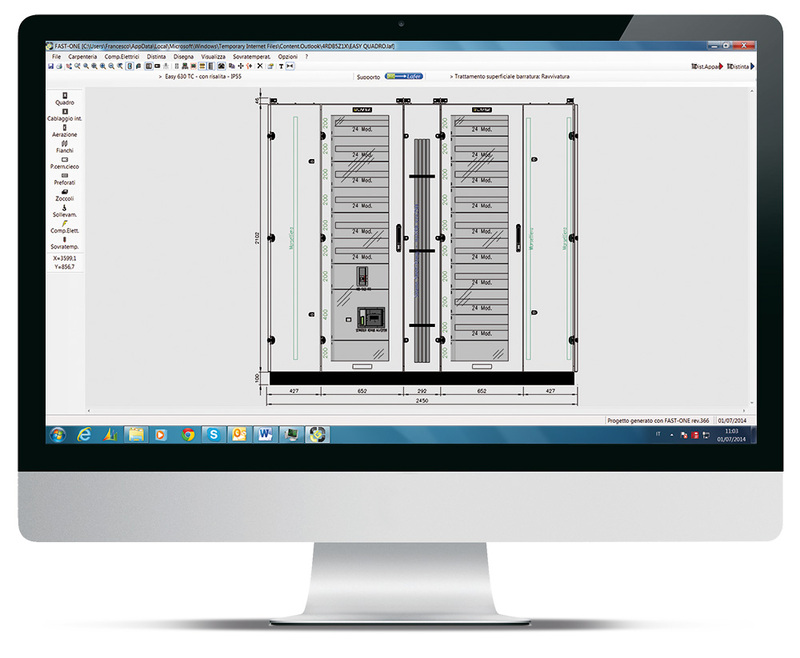 Frontal view and plan of the cabinet structure. Insertion and replacement of assembly parts. Possibility to choose devices of all brands (ABB, SCHNEIDER, SIEMENS, etc.) 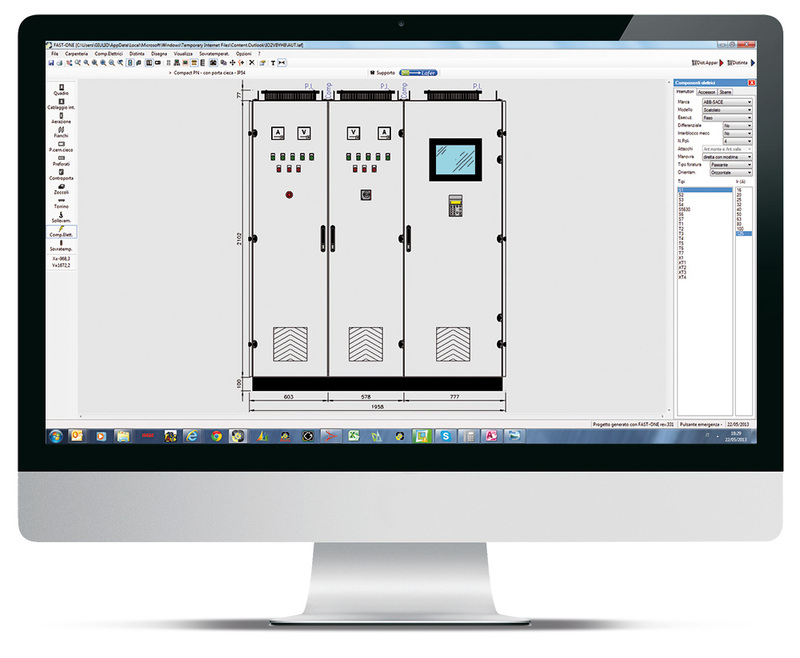 with automatic loading of the panel for each circuit breaker. Creation of the bill of materials used in the drawing and possibility of sending the project by e-mail directly to Lafer. 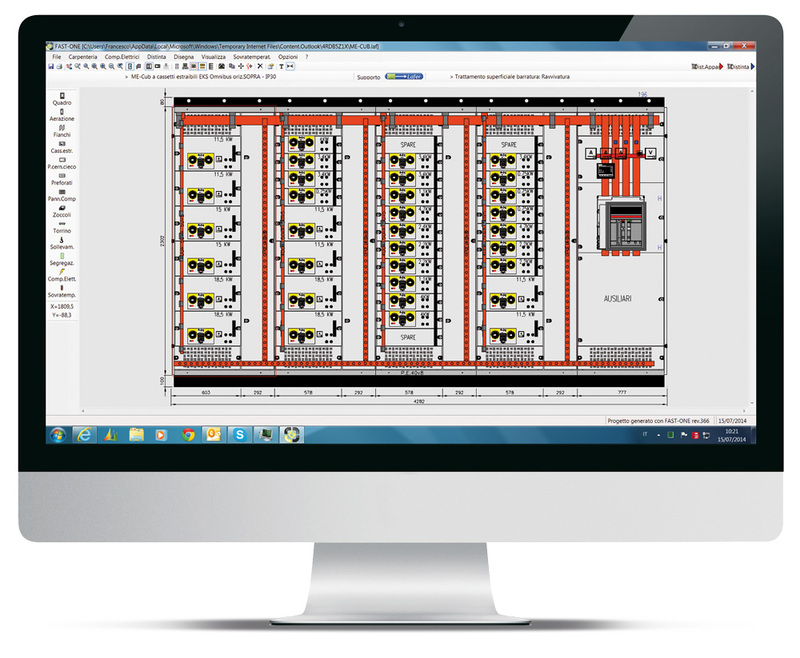 Automatic determination of insulators and busbar systems dimensions according to electrical features. Quotation and updated cost estimate. Determination of the overtemperature inside the cabinet. Possibility of customizing the project with customer’s logo or header. Available in 5 languages: Italian, English, German, French and Spanish.